We’ve shown you proof of how the trustees of the Atlanta Public Library District have been negligent in the maintenance of the library. In their love for their new building, Union Hall, they’ve also neglected the museum. The trustees don’t seem to mind your safety may be at jeopardy, either. Why is the elevator Certificate of Operation expired by more than a month? The certificate is not optional, it’s mandated by Illinois statute for our safety [225 ILCS 312/95]. 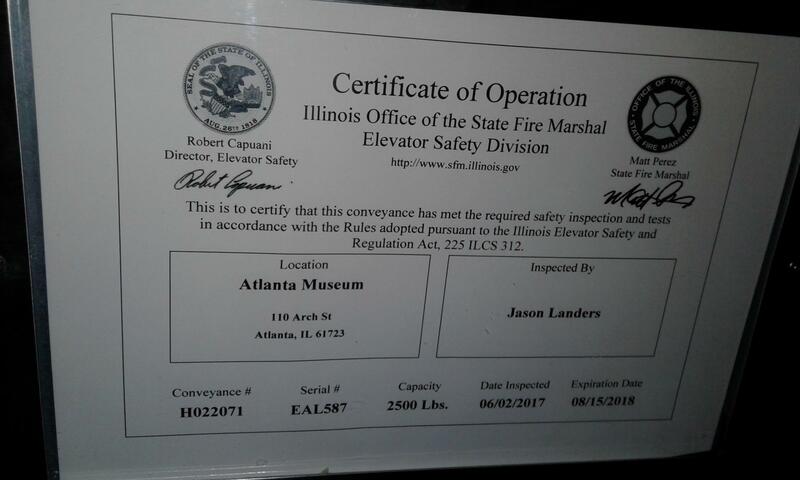 A check dated 7/26/18 to Quality Elevator Inspections would lead us to believe that the inspection was completed on or before July 26th, yet two months later there is no certificate. Before anyone jumps on the “maybe they haven’t had time to put the new certificate in” bandwagon, a quick visit to the Office of the Illinois State Fire Marshall Online Search of Conveyance Locations shows the license as expired. If the inspection was completed and the elevator is within operational standards, why have the trustees not applied for a new certificate? Did they forget to apply? Were deficiencies noted during the inspection and repairs are required? 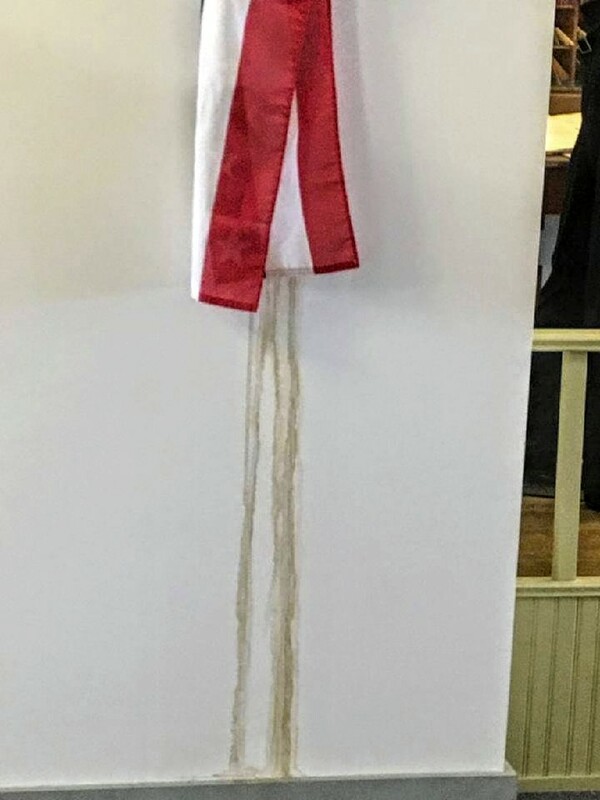 The leak in the ceiling is alongside the elevator – has there been water damage to the interior workings of the elevator? This is a safety issue the trustees must not ignore. The public deserves an answer. Posted in BloNo, Local, Taxes.Tagged Atlanta Public Library, elevator inspection, Museum, Union Hall, water damage. The state is incredibly behind on issuing elevator safety certificates. A couple of weeks ago when I had to visit ISU, they had a sign in their elevator that said the elevator had been inspected and they were waiting on the state to file the paperwork and that they would replace that sheet with the actual certificate once is arrives. A quick look on that registration document showed that the building I was in was not listed. My guess is they don’t have it on that sheet until the certificate is formally issued. Being that they paid a company to inspect it, I am guessing it was done and they are in the same boat — waiting for the state to issue the certificate. Is your Church also taxpayer supported? Ir so do we need to investigate? Other than exempt like every church, no. Public used one of our parking lots and neighbors love to walk, ride bikes, or drive through the other parking lot. 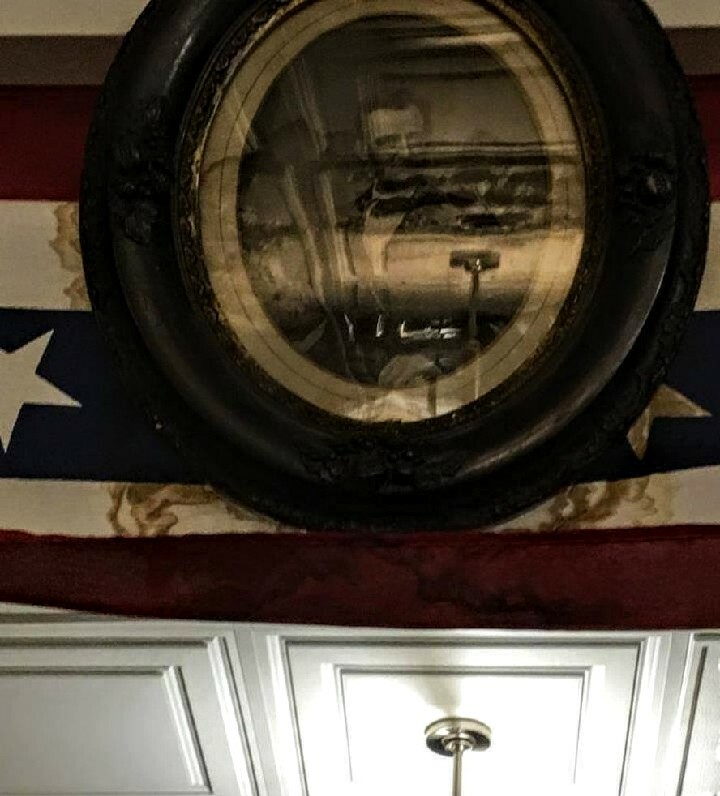 One would THINK that SOMEONE in the staff OR board would have ENOUGH sense to remove this nice framed photo of LIncoln BEFORE it was water stained. 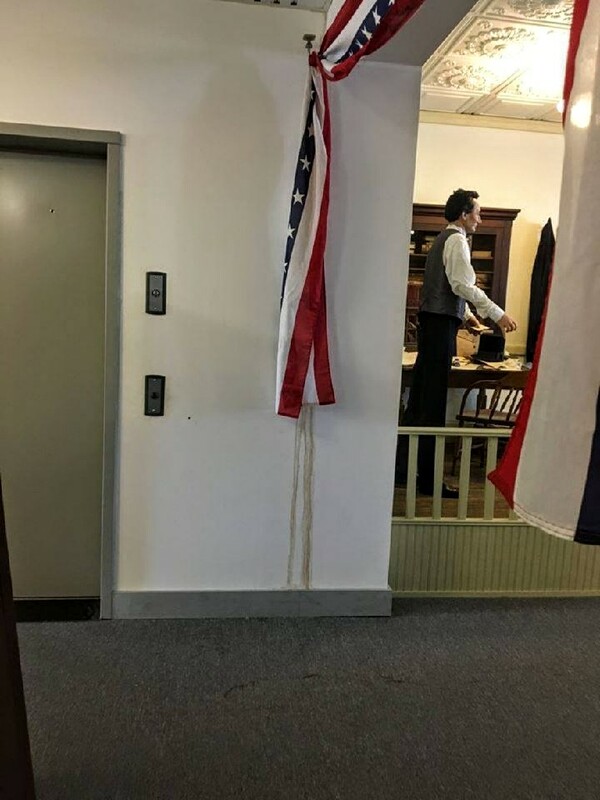 This is just ONE reason I WOULD NEVER donate anything to a museum! But even the Smithsonian has their problems, along with MANY others. Still, this DOES NOT justify this item being left to the elements. WHAT if the “Met” did this?? 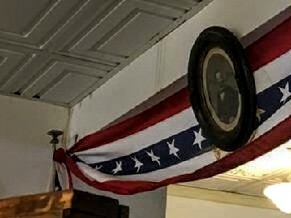 I don’t think they are rumors based on what my family has donated and what is now missing with no explanation as to where it is. I’m not concerned because it my opinion and experience that people who lie, cheat and steal like this board has eventually come to their demise because they forget what lies they told last because they loose track of all of them and who they told what to. Randy and Bill initially told the public that all they had to was come to them directly and ask any questions they had and they would answer them. How convenient based on a few people’s experience none of them were told the same answers and of course it then becomes a convenient he said they said with no documented fact.s. I personally feel have seen enough FACTS (not insinuations) to make an opinion that this board needs to resign and Rachel and Cathy need to be terminated. Diane how about a cup of coffee at the palms grill and i will buy ? No thanks. I can’t spend all my time on Atlanta, I think the citizen watchdogs got this one.